Click the following for a report, the rides programme and the route map for the 2011 Festival. These pictures provide a snapshot. The launch at Black Pill. 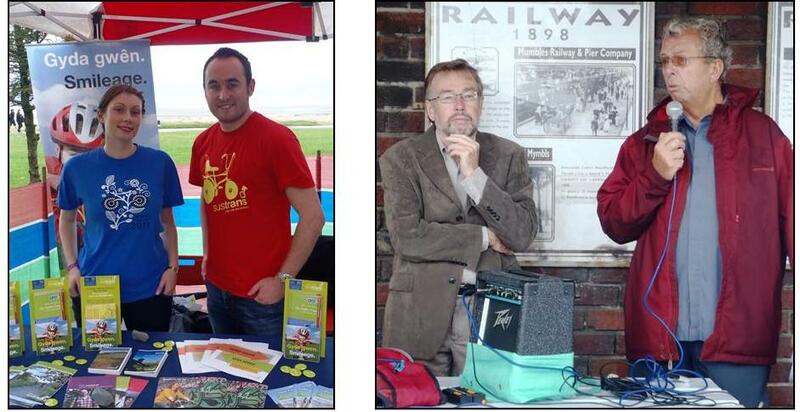 Becca and Fraser man the Sustrans stand and David Judd introduces Martin Caton MP. 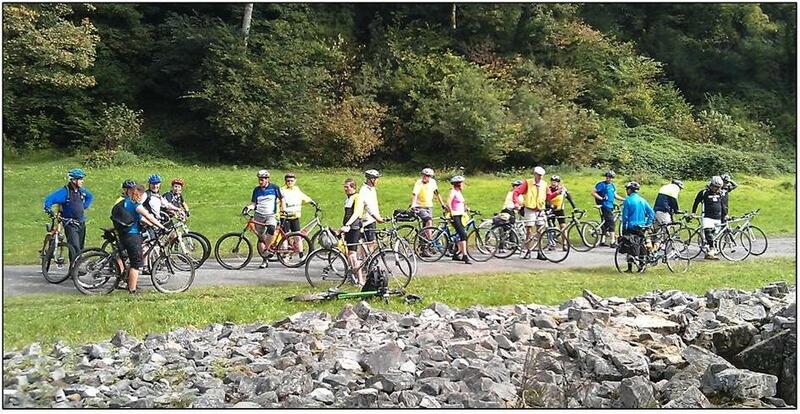 Rides 2 and 3 meet up at the Parc le Breos prehistoric burial chamber. 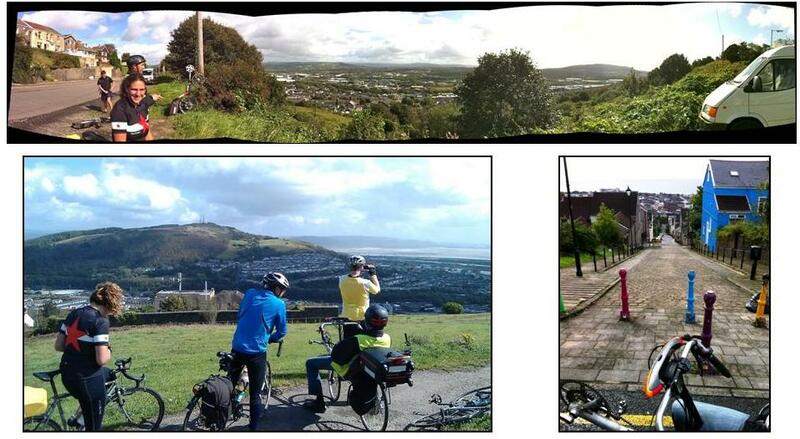 The City Heights ride climbed all the hills in Swansea – a challenge indeed! Ride 12 crosses Bynea Bridge. Later some enjoyed a pint at the Loughor Boat Club. 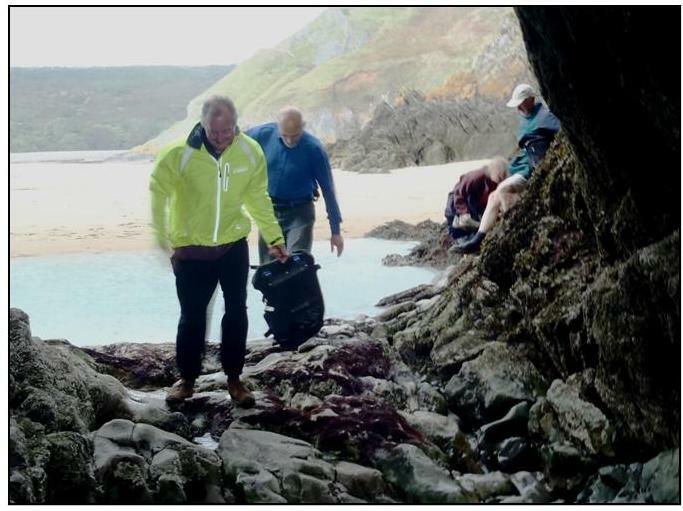 Negotiating the Three Cliffs Arch on the Ride/Walk (No. 14). 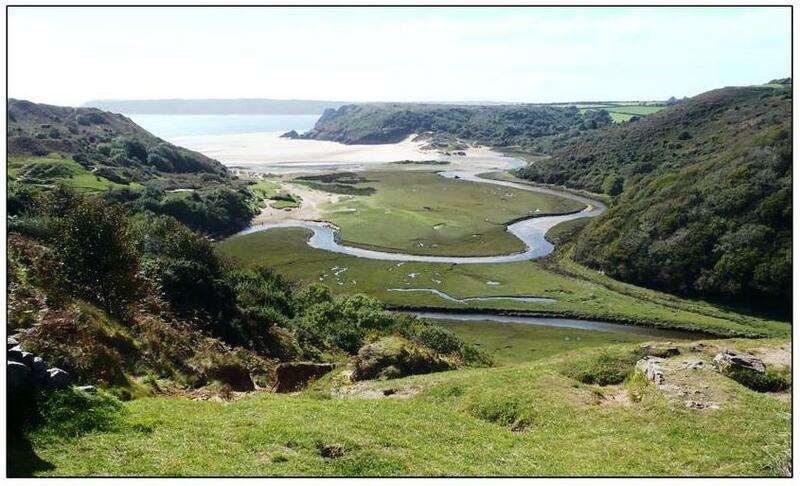 Three Cliffs Bay from Pennard Castle. Page updated on13 December 2018.